Bark is an essential part of all plants with secondary growth. Young bark, especially the cortex, plays an active role in plant metabolism. Parenchyma cells store photosynthetic products and young bark is photosynthetically active. 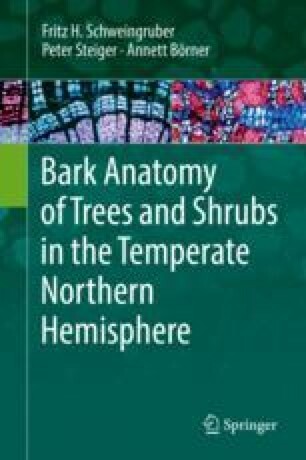 Barks protect sensitive meristems mechanically and chemically against fire and frost, and defend essential physiological tissues such as the xylem, phloem and cortex against pathogens. Barks are also a habitat for fungi, algae, mosses, lichens, vascular plants and invertebrates. Since prehistoric times, bark has been used by humans for fibers, resins, rubber, medicinal products, dyes, tannins and cork.